Hello and welcome to the Royal Scot Hotel & Suites. Our goal is to provide you with the best suite accommodation in Victoria. Our friendly helpful associates are here to ensure that every aspect of your stay is taken care of. Questions? Need to make a Victoria hotel reservation? Travelling on business? Arrange a stay for your group? Snowbird? No matter what you need, we’d love to hear from you. Feel free to contact us in any of the ways listed below. We’re easy to find and close to everything! With our convenient location in the heart of historic Victoria, the largest city on Vancouver Island, BC, we’re close to all the major points of entry. 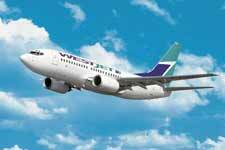 Whether you’re arriving by air, ferry, car or bus we are easy to find. Our complimentary shuttle service is available to you for transportation to and from such places as the bus depot, the Victoria Clipper and Coho Ferries, the Seaplane docks and the Helijet terminal. If you require special arrangements, just give us a call. Click here to get a Google Map and Driving Directions from any point. You can sail into Victoria’s Inner Harbour on your own boat but most visitors choose one of several ferry service options. 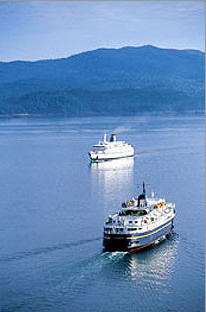 This vehicle and passenger ferry service offers sailings from Tsawwassen just south of Vancouver to Swartz Bay, just north of Sidney. Sailing time is approximately 90 minutes and from the time your vehicle disembarks at the Swartz Bay Terminal travelling time to The Royal Scot Hotel & Suites is about 40 minutes. Upon arriving in Swartz Bay you will automatically by on Highway 17. The highway will eventually become Blanchard Street and takes you to the Inner Harbour (Belleville Street). Pass the Legislative Buildings, turn left on Menzies Street and then right on Quebec Street. The Royal Scot Hotel & Suites staff will be waiting to great you upon your arrival. If you’re arriving on the Victoria Clipper, you can choose to walk the 5 minutes to the hotel or call for our Courtesy Van to pick you up. Operating a vehicle and passenger ferry between Port Angeles Washington and Victoria’s Inner Harbour, again, just minutes from The Royal Scot Hotel & Suites. For those arriving on the M.V. Coho by vehicle, go one block up to Quebec Street and turn left. Offering scheduled service between Anacortes Washington and Sidney, approximately 35 minutes from The Royal Scot Hotel & Suites. No matter how you choose to arrive The Royal Scot Hotel & Suites awaits your arrival. Following the Airport Road to Highway 17, turn right and follow the signs to downtown Victoria. Highway 17 becomes Blanchard Street and takes you to the Inner Harbour (Belleville Street). Pass the Legislative Buildings, turn left on Menzies Street and then right on Quebec Street. The Royal Scot Hotel & Suites staff will be waiting to great you upon your arrival. If arriving in the Inner Harbour via aircraft, please give us a call at 250-388-5463, and we will send our courtesy shuttle to pick you up. If arriving in the Inner Harbour via aircraft, please give us a call at (250) 388-5463, and we will send our courtesy shuttle to pick you up. No matter how you choose to arrive, The Royal Scot Hotel & Suites awaits you!